My field of study is limnology, which is the ecological analysis of lakes, streams, and wetlands. I do my research and teaching through the CIRES Center for Limnology, which offers analytical services and opportunities for field work in all aquatic environments of Colorado. Research projects as well as graduate and undergraduate studies in limnology typically incorporate analyses and interpretation from physics, chemistry, and biology as an interdisciplinary mix that facilitates the understanding of aquatic ecosystems. Some fields of special interest for me and my graduate students at CU have been biogeochemistry, food webs, and biological production. In limnology, biogeochemistry, which is based on analysis of element cycling in ecosystems, has been used frequently to study the effects of humans on biological processes in aquatic environments through nutrients or toxins. Food web studies are frequently based on use of tracers such as stable isotopes of carbon and nitrogen to quantify the rates at which biomass for groups of organisms are processed through the food web by grazing, predation, and decomposition. The study of biological production, which is critical to human interest in the yield of biomass from aquatic ecosystems, focuses on factors that restrict or magnify the amount of production per unit area in ecosystems, and takes into account the influences of humans on biological production. Much of my current work with students and other collaborators focuses on environmental cycling of nitrogen in numerous aquatic environments of Colorado. 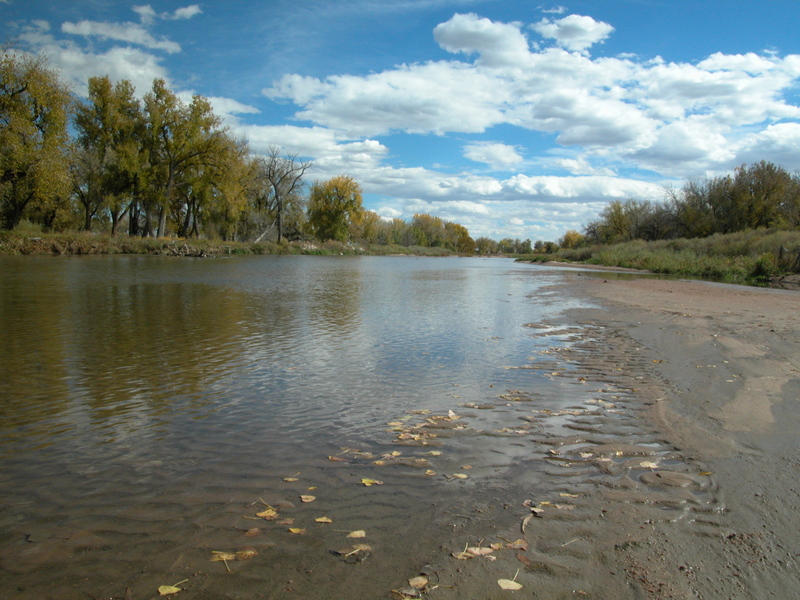 One example is the South Platte River below Denver, which receives a large amount of treated wastewater from Denver and its suburbs. Our recent studies show that the South Platte River below Denver supports very high rates of denitrification, which converts nitrate to N2, an inert gas that is released to the atmosphere. This process is environmentally favorable because excessive nitrate derived from wastewater causes nuisance growth of algae and aquatic vascular plants. Recent PhD graduate Thomas Detmer led an ambitious project in Rocky Mountain National Park related to the influence of fish on food webs. The RMNP has lakes with fish and lakes that lack fish. In comparing these lakes, Detmer showed that fish very strongly suppress the presence of large invertebrates such as stoneflies, thus shifting the composition of aquatic invertebrates in the lakes, as expected. Contrary to expectation, however, he showed that loss of the large invertebrates was compensated by a great increase in the abundance of small invertebrates. Ecologically speaking, the small invertebrates took the place of the larger invertebrates in the food web, so that changes in food web functions were negligible. This is an example of ecological resilience. Aquatic environments create new biomass through photosynthesis, which is conducted by algae and aquatic vascular plants. Our research on both lakes and streams in Colorado shows that photosynthesis is controlled in some cases by P, a nutrient, and sometimes by N, also a nutrient. In the past, limnologists have thought that P is a master nutrient, and that N does not commonly control production through photosynthesis. Our experiments in Colorado, and similar work conducted elsewhere, support a new view of nitrogen as a commonly limiting nutrient for aquatic photosynthesis. Summary of nitrogen fluxes relevant to concentrations of ammonia (NH3) and nitrate (NO3-), important pollutants in the South Platte River below Denver.